Residential | Edward B. Walsh & Associates, Inc.
Edward B. Walsh & Associates, Inc. (EBWA) was commissioned by the Jerrehian Estate to provide boundary and topographic surveys and civil engineering design services related to the development of a 20.5 acre tract of ground in West Goshen Township Chester County, PA into 25 single family lots. 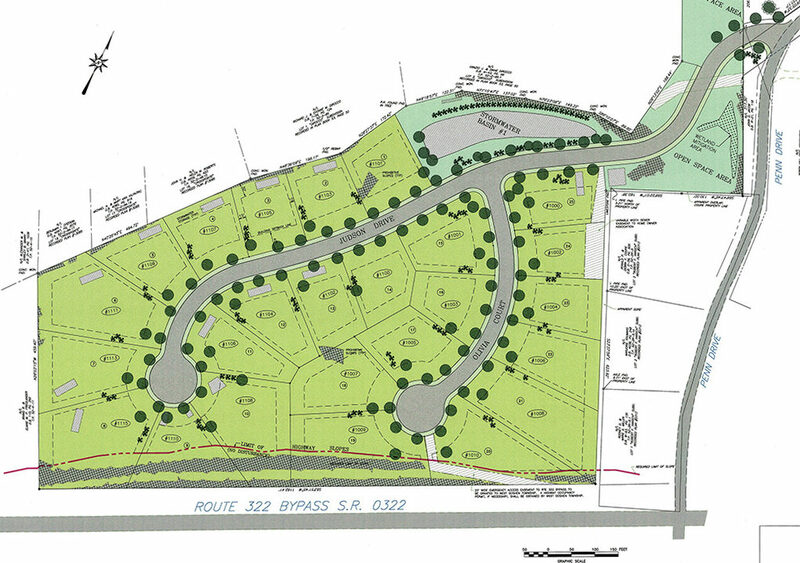 EBWA provided road design, grading, stormwater management and erosion control. EBWA also attended and presented before the Planning Commission and Township Supervisors for approvals. The design of the road entering the site required a stream crossing and construction of a three cell concrete box culvert. As part of the design, flood plain analysis was required for testimony at the Township Zoning Hearing Board to allow for a flood plain crossing. Permits were also required and obtained from the PA DEP. 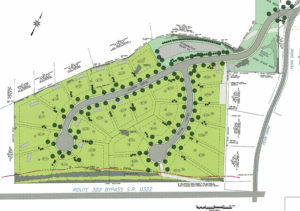 In addition, EBWA was commissioned by NV Homes to provide lot site design services related to house placement, grading, and survey stakeout prior to construction. As-built survey services were provided after construction. 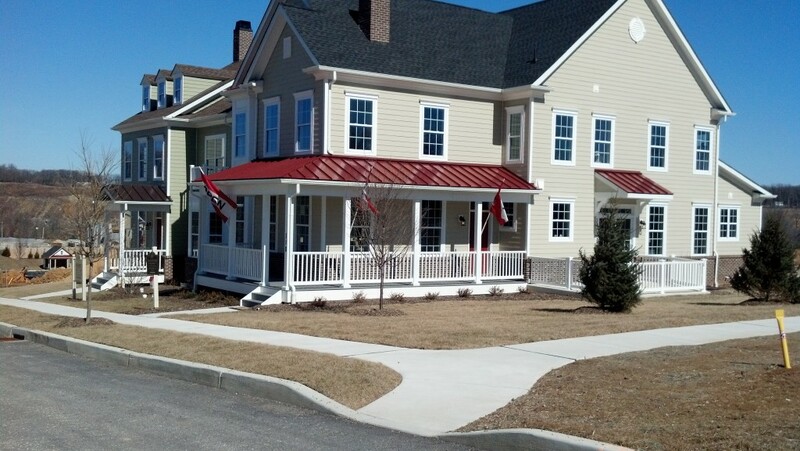 Edward B. Walsh and Associates, Inc. (EBWA) worked with J. Loew & Associates on the design of a 77-unit Traditional Neighborhood Design Townhouse Development located in Malvern, PA. Pickering Crossing is Charlestown Township’s first development within their newly created Town Center and will help anchor the Town Center District. EBWA worked closely with the Charlestown Township Design Review Committee and their consultants from the sketch plan design phase through the ultimate approval of the project. EBWA prepared all subdivision and site plans, lighting plans, stormwater management plans and represented the client at all Planning Commission and Township Supervisors meetings. 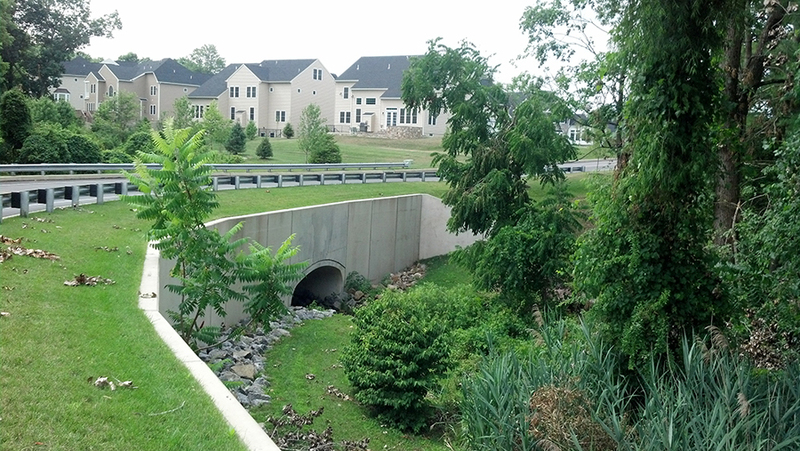 EBWA also worked closely with the CCCD and the PA DEP to design a Post Construction Stormwater Management Plan in strict accordance with the Pennsylvania Best Management Practices regulations and the NPDES permit requirements. 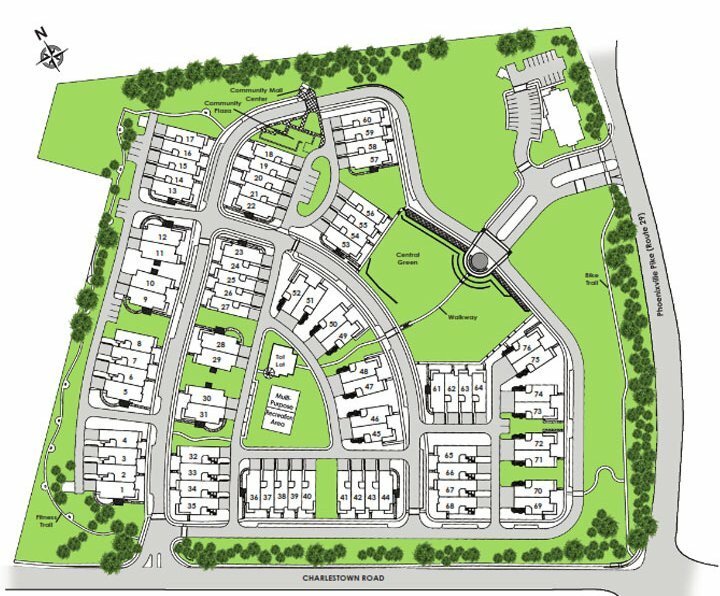 The resulting townhouse community will feature over 50% open space within a Tradition Neighborhood Design concept that will be an integral component of the Town Center. 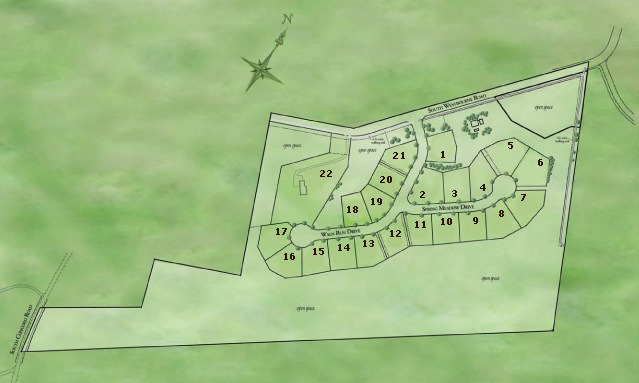 Edward B. Walsh & Associates, Inc. (EBWA) was able to work with an established builder to generate a 22 lot single family residential subdivision on a property in Thornbury Township, Chester County, PA. Given the site limitations posed by the municipality code with respect to the floodplain, the property had been evaluated by other builders and considered too challenging to successfully develop. With EBWA’s knowledge of floodplain studies and FEMA requirements, the staff was able to perform a floodplain analysis and generate a plan with an increased lot yield for the client. 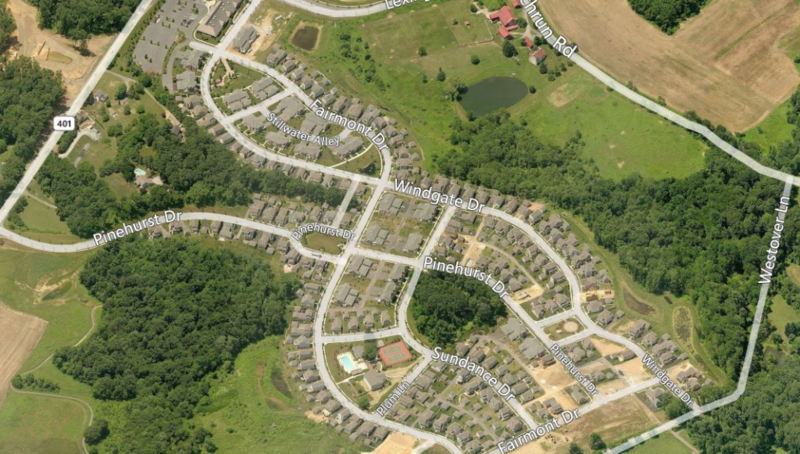 EBWA created a layout with substantial open space with 90% of the lots being located along the open space. EBWA also carefully designed the stormwater management systems to have them located in the open space therefore not encumbering the individual lots. 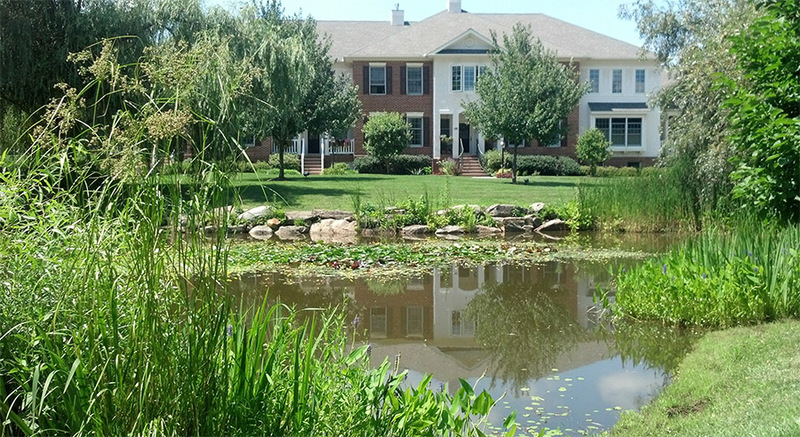 The resulting product was a desired, award-winning residential subdivision. Edward B. Walsh & Associates, Inc. (EBWA) worked with the Hankin Group on the development of the 300 acre tract of ground located in Chester Springs, West Vincent Township PA. 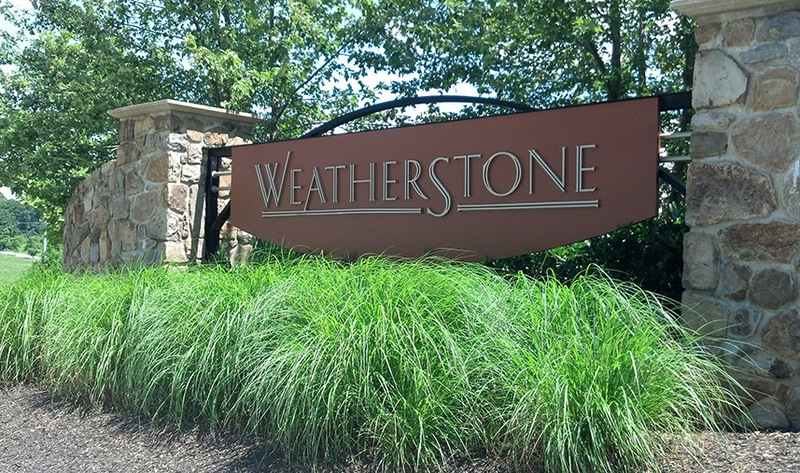 The mixed-use Weatherstone community consists of 273 single family and townhome residences featuring a neo-traditional neighborhood design and a branch of the Chester County Library, with additional retail space planned. The development also features 185 acres of open space. EBWA provided the civil engineering design services for the project including the advanced stormwater management design. EBWA also worked closely with the client and Township during the approval process. We are a Civil Engineering Design and Land Surveying firm, registered in PA, NJ, DE & MD, serving Chester County, PA, Delaware County, PA, Montgomery County, PA, Bucks County, PA and Berks County, PA.